Over the years, I’ve generally been a pretty active person. When I changed jobs and started working downtown, I found myself walking for 40-60 minutes 4-5 days a week in addition to what I considered exercise. So when I got pregnant, I wasn’t too concerned with staying active. But then first trimester nausea hit me pretty hard and I had to give myself permission to ease off. Now that I’m past the nausea and past the first “half” of pregnancy, I thought I’d talk a bit about how I’ve been handling exercise, at least up to this point. I would say that the mainstay of my pregnancy exercise routine is the decent amount of walking I do most days. I can roughly track my walking using my iPhone Health app, and it says that, right now, I’m walking about 3 miles per day on average. Now, that takes into account days when I walk more — such as when I walk from my gym to my office, which is a longer distance than from the metro station to my office — as well as days when I might not walk much at all. I work downtown four days a week and telework one day per week, so my commute doesn’t come into play, but I try to walk places near my house when I’m staying home. In the first trimester, I put my gym membership on hold for a month so that I wouldn’t worry about the sunk cost, which meant that I never had my 40-minute walk from the gym to the office, and I wasn’t walking from the metro to the gym on the weekend. Of course, I still had to get to work somehow, but occasionally, when I was feeling truly terrible, I would work from home one extra day per week. This meant that my average daily walking distance went down. At my lowest average daily mileage, I was still walking about 2 miles per day on average (that was during May). Since then, I’ve worked my way back up to about 3 miles per day (although that went down during the two weeks I was sick with that damned cold). I’m hoping I can maintain 2-3 miles per week for the rest of my pregnancy, and I’m hopeful that the weather will actually make this easier, as we move into autumn. As far as “actual” exercise goes, outside of my walking, I used to run a few times a week, go to barre a few times a week, and do yoga when I felt like it. Unfortunately, first trimester nausea pretty much put the damper on running, and since I came out of my nausea right around the time the weather started getting hot, I decided not to try running while I was pregnant. At this point, I haven’t been running in several months, and I think it would be awkward (to say the least) to try picking it back up now, with 15 extra pounds, mostly concentrated up front. So I’ve been focusing on the strength and flexibility afforded by barre and yoga. I’ve talked before about my prenatal yoga routine, so I won’t get into that again, but barre is a workout that I’ve come to love over the past two or so years I’ve been at it. I started looking at barre classes when it became apparent that my new commute downtown made it more or less impossible for me to continue with my regular evening adult ballet classes, but I still wanted that type of a workout that built long, flexible muscle, as well as balance and coordination. I found some classes that fit my schedule at a gym near-ish my office, and found that, among those classes, one instructor in particular really fit my idea of what I wanted. Kathryn’s classes have been bright spots in my week for nearly two years now, and I currently go three times a week, although schedule changes means that one of those classes is now with a different instructor. Other than the fact that I love to stretch, I think my favorite part of Kathryn‘s barre classes is the fact that she makes it very clear that your barre class is what you make it, and she never guilts anyone into working harder than they feel they can on any given day. She constantly reminds us that each day is going to be different and not to push ourselves beyond our capability today, even if we could do more yesterday. That has been particularly helpful during my pregnancy, as I’ve discovered things changing about my body that I didn’t expect (pro tip: if you are lazy with your form during curtsy lunges while pregnant, your round ligaments will tell you). 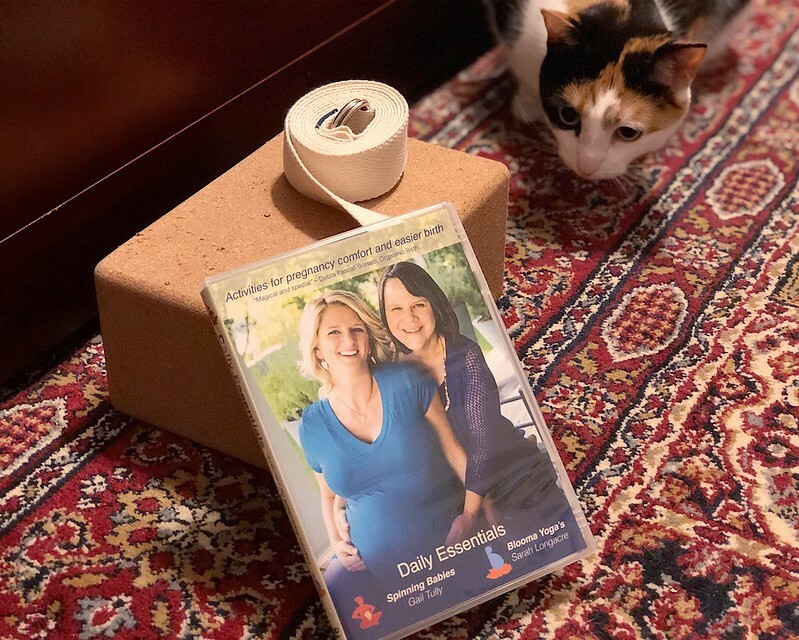 She’s also been great about helping me as my abilities have changed throughout pregnancy by offering me a sort of library of modifications that I can try, while giving me the ultimate decision on how to handle my own workout. 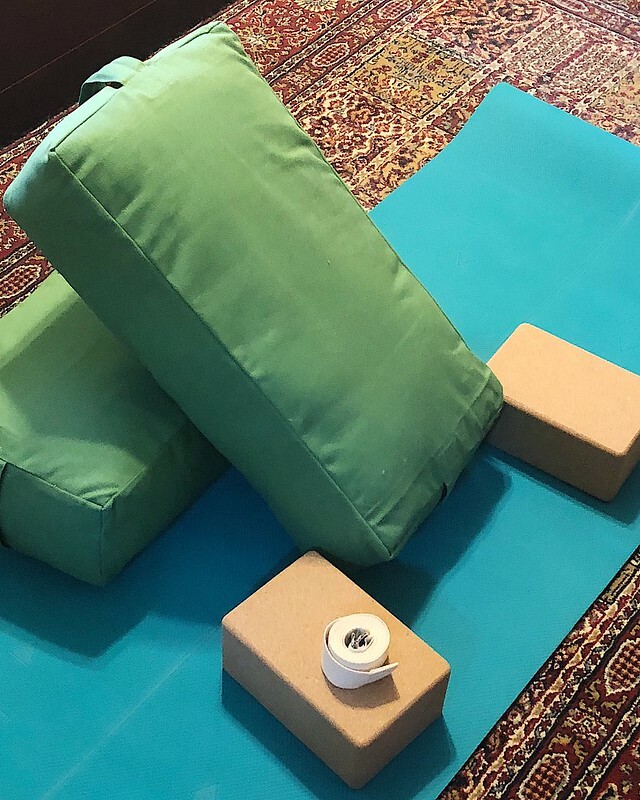 Lately, I’ve decided to stop doing ab exercises while laying flat on my back, and it’s nice to have options to try, rather than just trying to modify the specific exercise she’s doing at the moment. The other nice thing about barre is that I feel like it helps me build and maintain functional strength in a way that helps me maintain my stability. As my body has changed, I find myself readjusting to differences in balance and center of gravity. Barre helps me work my abs, yes, but not in a sit-up-crunch-plank way only. Every exercise we do relies on the stability of the abdominal muscles, so even if I skip the focused “ab” exercises, I’m still working my core muscles for stability. And I have had to back off on a lot of focused ab exercises as I’ve realized that things like planks become a lot harder to do right when you have to hold in not only your abs, but a growing uterus pushing behind them as well. So that’s how I’ve been handling exercise the last 20 weeks or so. Of course, I’m not a doctor, physical therapist, personal trainer, or anyone with any actual training or expertise in giving advice, so I’d encourage you to find your own path. But hopefully reading about how I’ve handled my own personal pregnancy workout plan will help you figure out yours. And I’ll check back in later in pregnancy to talk about how this routine changes as my body continues to change.